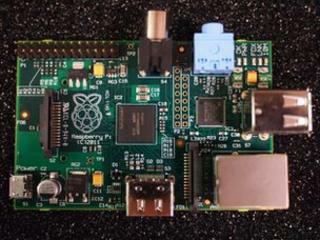 The Raspberry Pi computer is being made in the UK for the first time. Before now every one of the credit-card sized machines have rolled off production lines in Chinese factories. But a deal signed between Premier Farnell, which distributes the Pi, and manufacturer Sony will see 300,000 of the gadgets produced on home soil. Since its launch in April, the device has been hugely popular and its creators said more than a million could be sold before the end of 2012. The UK-made Raspberry Pis have been assembled at Sony UK Technology's factory in Pencoed, South Wales. About 30 jobs will be created as a result of the deal which will mean most of the Pis being distributed by Premier Farnell will be made in Britain. UK production of the Raspberry Pi started in mid-August and began being delivered to customers this week. Pi boards made in the Welsh plant have "Made in the UK" printed next to the power jack. In a blogpost, Raspberry Pi community director Liz Upton said it chose Chinese manufacturers at the start of the project because it could find not find a UK manufacturer that could make them cheaply enough or was willing to take a risk on the bare-bones computer. "There was just no way to make the Raspberry Pi in the UK and keep the price at $25 (£16) for the Model A... and $35 (£22) for the Model B," she wrote. Ms Upton said it had taken six months to get to the point of manufacturing Raspberry Pi computers in the UK. The news about manufacture comes as the design of the machine gets an overhaul. The changes are based around suggestions from Pi owners and will mean tweaks to the way the device works and fix some minor bugs.